Branching off the main Goma-Bukavu road on the shores of Lake Kivu, an earthy track climbs high into the mountains of Africa's Great Rift Valley, switchbacking incessantly through the lush green landscape before eventually reaching the mining village of Numbi. Small cassava plantations and human dwellings dot the hillsides along the way. Groups of women can be heard singing as they journey to market. 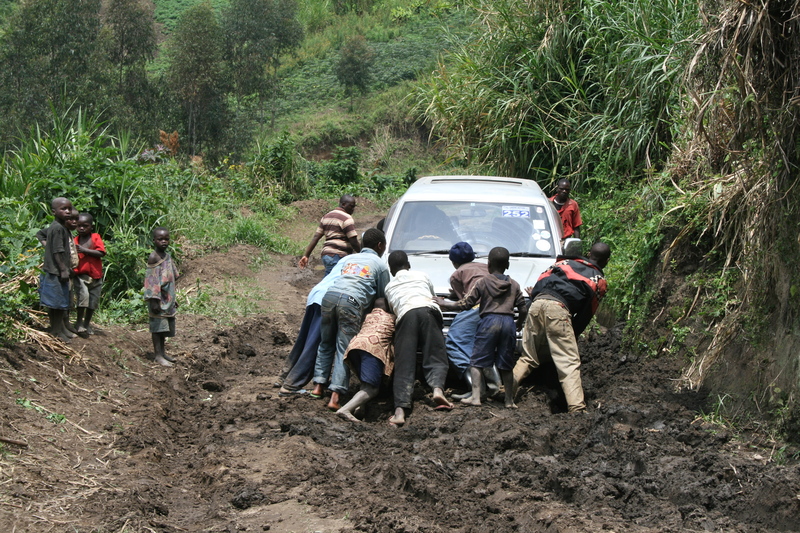 Beneath the natural beauty of South Kivu, a province in eastern Democratic Republic of Congo (DRC), a series of obstacles await those attempting this unlikely trade route by vehicle. Collapsed bridges, hastily replaced with rickety tree trunks, leave little margin for error and a plunge into the river below. Rains bring pools of impenetrable mud, providing local farmers with a secondary career in 4x4 excavation. Despite the pitfalls, voracious demand in the West for certain minerals in recent decades has fuelled traffic along this track and countless others like it throughout the wider region. Eastern DRC's artisanal mining sector has been driven, in particular, by the global hunt for coltan, a highly sought-after dull black metallic mineral from which tantalum is extracted. This in turn is used to manufacture electronic capacitors, widely used in cell phones, DVD players, video game consoles and computers. But the litany of egregious human rights violations linked to the mineral's extraction have recently drawn the attention of US and EU lawmakers, and Charmant Buingo, a cagey mining official in Numbi, is keenly aware of the changing environment. "We produce cassiterite (tin ore), coltan, and gold," he says, standing uncomfortably on the edge of one of the area's opencast pits. Further afield, several hundred miners clutching pickaxes and shovels look on from a distance, hastily cleared away from their area of work by authorities keen to keep their stories under wraps. Despite the efforts of Buingo and his cronies however, the exploitation of miners by different armed factions is increasingly well documented. "Women and children have been enrolled to work in the mines," says Isaac Mumbere of CREDDHO, a Goma-based NGO which monitors the sector. "Our research has identified slave-like conditions in the area of Walikale [North Kivu]," he adds, pointing to the poor salaries, complete lack of safety equipment and dangers of suffocation in collapsed tunnels. Stories abound of workers being forced to hand over kilos of mineral-rich rubble at the end of a day's back-breaking toil for barely a few dollars. 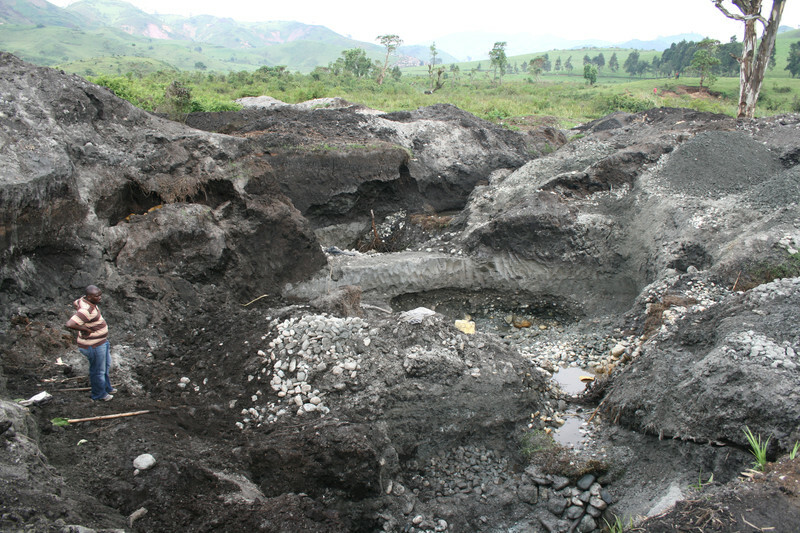 In addition to the abuses, control over the region's artisanal mining sector has provided a key source of revenue for rebel groups operating in eastern Congo, fuelling the ongoing conflict that is estimated to have claimed over 5 million lives in recent decades. The Democratic Forces for the Liberation of Rwanda (FDLR), an ethnic Hutu armed group opposed to Tutsi rule in Kigali and linked to the 1994 Rwandan genocide, are among the main rebel groups that illegally tax miners and smuggle minerals abroad. Local Mai-Mai militias, originally set up to defend villages from larger rebel groups, are now also in on the act. In the area around Numbi, the key operator is arguably General Bosco Ntaganda, a former Tutsi rebel who was integrated into the Congolese army as part of efforts to bring peace to the region. Known as 'the Terminator', Ntaganda has been on the International Criminal Court's wanted list since 2008, suspected of enlisting child soldiers. As he smiles insincerely, it is difficult to be sure who Charmant Buingo is working for. But the net effect of these armed groups is clear: less than 10 percent of the region's mines are controlled by central government in Kinshasa, according to CREDDHO. 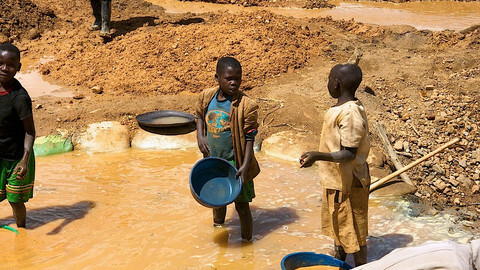 Now the international community appears to have broken its silence over 'conflict minerals', sparking a controversial piece of legislation in the US in July last year that the EU may shortly mimic. Following heavy lobbying from campaign groups, section 1502 was quietly inserted into the Dodd-Frank Act, a set of rules largely intended to clean up Wall Street following the 2008 financial crisis. Once fully implemented, the section will oblige firms registered with the US Securities and Exchange Commission (SEC) to carry out detailed research as to whether their products contain 'conflict minerals' from eastern DRC and neighbouring areas. While not banned, companies must then report the use of these raw materials, enabling consumers to avoid certain products if they wish. 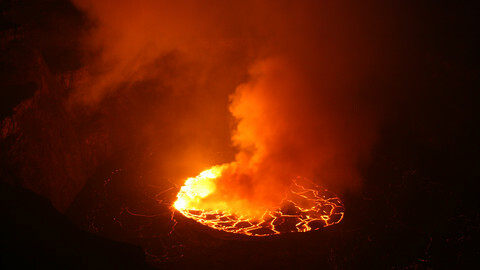 But critics say the new reporting requirements have merely resulted in international companies placing a de facto ban on minerals from eastern Congo, severely damaging the region's already fragile economy. Under the title of 'Africa and Obama's embargo', a Wall Street Journal editorial in July condemned the initiative as seriously misguided and just "the latest trendy cause". Others agree. "No one can say the US Congress wanted to punish the Congolese ... but at the same time the consequences are punishing," says Aloys Tegera of the Pole Institute, a think-tank in Goma. He points to the 25 comptoirs (trading houses) formerly operating in the city, now reduced to a handful of largely Chinese and Indian traders whose domestic markets are unaffected by the new US rules. As well as the direct loss of comptoir license fees and taxes, the wider economy has also suffered badly. 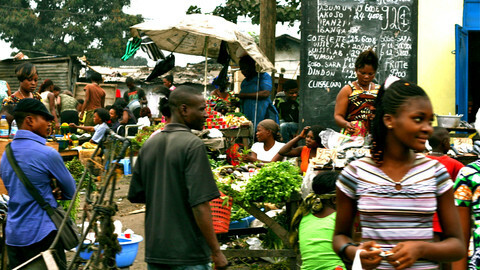 "Today the person who sells beer or maize in Walikale cannot make money," says Tegera, arguing that instead pressure should have been applied to the government in Kinshasa to clean up the country's mining sector. "Somehow they picked the wrong target." Supporters are quick to hit back however, arguing that a fall in human rights violations has accompanied the drop in mineral demand as rebel groups struggle to find buyers. "Companies may opt to go elsewhere, but for us Dodd Frank will still be a success," says CREDDHO's Isaac Mumbere. Congolese President Joseph Kabila has also declared his support for the American measure, as have members of the Congolese opposition. 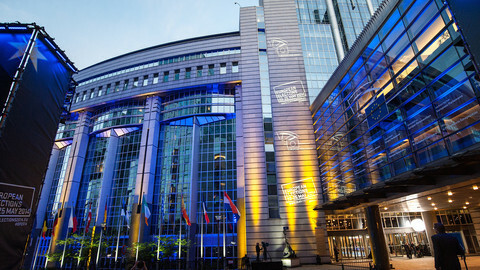 So far the EU has adopted a cautious approach, keen not to overburden European companies with more regulatory requirements during the current economic climate. At the same time, key differences of opinion within the European Commission and the external action service have also muddled its response. While many support plans for EU action, one senior EU official with an intimate knowledge of Congo put it like this: "Dodd-Frank will just create a new layer of bureaucracy over the coming years, which in the DRC simply means more corruption. The country will be poorer as a result. Of course Europe shares the same aspirations as the Americans, but it just won't work." Despite these views, EU trade commissioner Karel De Gucht has publicly announced that a communication expected this November will address the issue of conflict minerals, although how far the paper will go remains to be seen. 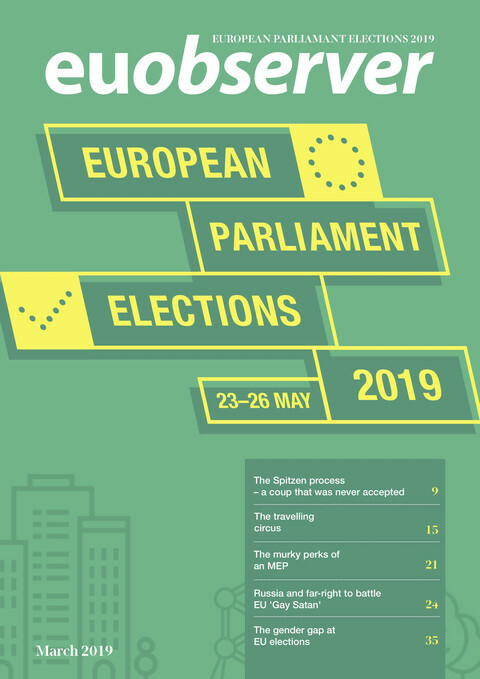 "I don't see Europe targeting a specific region such as eastern DRC and the neighbouring areas," says Green MEP Judith Sargentini, a vocal supporter of an EU initiative. She adds that Europe's colonial history and the trade commissioner's Belgian nationality complicate the issue. "I'd prefer a wider definition of 'conflict minerals', one that encompasses, but is not limited to, those coming from eastern Congo." In the meantime, the illegal exportation of Congolese minerals continues in large volumes, typically passing through Kigali before moving overland to the ports of Mombasa and Dar es Salaam, and then onto the international market. A United Nations 4x4 was among the vehicles recently stopped on the Rwandan border, illegally carrying 1.5 tonnes of cassiterite. And at the other end, demand for laptops and mobile phones in Europe continues apace, meaning the debate over 'conflict minerals' is unlikely to disappear soon. 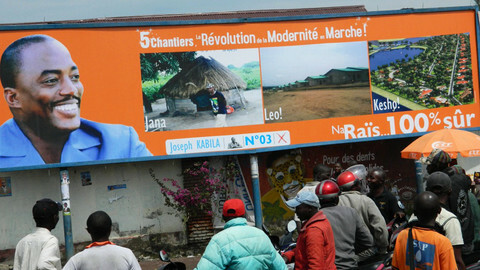 This article is part of a series that EUobserver will be publishing ahead of the general elections in the Democratic Republic of Congo on 28 November 2011. 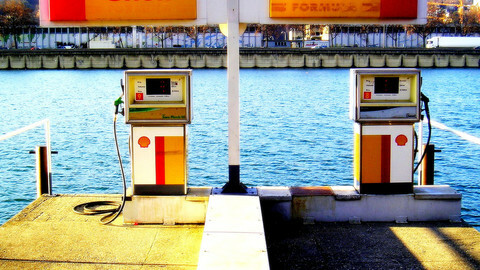 Oil companies are making strenuous efforts to slow progress in Europe on improving transparency in the industry, writes Gavin Hayman.